A Czech aid worker, Petr Jašek, 52, detained in Sudan since December 2015, has been pardoned and freed by President Omar Bashir – after the Czech Foreign Minister Lubomir Zaorálek visited Sudan this weekend to seek his release. He has flown back to Prague with the Foreign Minister today (Sunday 26 Feb). World Watch Monitor has heard from some of his friends, who have wept with relief at the news. On 22 January he was sentenced to 23-and-a-half years after being found guilty of various charges, including spying. He was also fined 100,000 Sudanese pounds (around $15,000) for undertaking NGO work without a permit. Two other men sentenced with him – a Sudanese church leader, Hassan Taour, and a Darfuri graduate, Abdulmonem Abdumawla – were each sentenced to 12 years, their major “crime” being “aiding and abetting” Jašek in his alleged spying. One of the years was for “spreading rumours that undermine the authority of the state” (even though the legal maximum penalty for this is six months in prison). Lawyers for the men have lodged appeals for their release. More than 400,000 people signed a CitizenGO petition seeking Jasek’s release. Hassan Taour, Abdulmonem Abdumawla and Petr Jašek. Lengthy prison sentences have been handed to three men detained in Sudan since December 2015. A Czech aid worker, Petr Jašek, 52, was sentenced to 23-and-a-half years after being found guilty of various charges, including spying. He was also fined 100,000 Sudanese pounds (around $15,000) for undertaking NGO work without a permit. 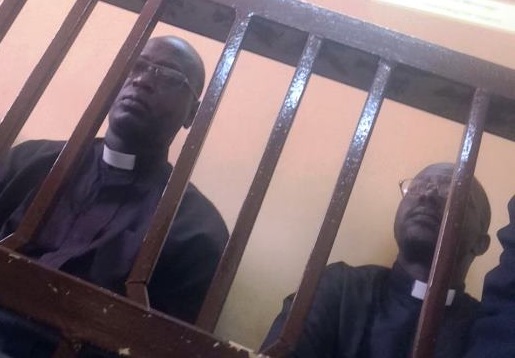 The other two men – a Sudanese church leader, Hassan Taour, and a Darfuri graduate, Abdulmonem Abdumawla – were each sentenced to 12 years, their major “crime” being “aiding and abetting” Jašek in his alleged spying. One of the years was for “spreading rumours that undermine the authority of the state” (even though the legal maximum penalty for this is six months in prison). Lawyers for the three men plan to lodge appeals within the next two weeks. Sources told World Watch Monitor that yesterday’s (29 Jan) verdict was pronounced in the presence of a great number of Christians, who reacted with great shock and sadness. Taour’s mother was reportedly so shocked that she fainted and needed to be escorted from the room. The case against the three men centred around Jašek’s support for a Sudanese student injured during a protest in 2013. Jašek was stopped as he attempted to leave Sudan in December 2015 and found in possession of a receipt, detailing his $5,000 contribution to the student, Ali Omer. Jašek said the money was for Omer’s medical costs, but the prosecution alleged that it was a donation to rebel groups in the southern regions of South Kordofan, Blue Nile and Darfur. Both Taour and fellow pastor Kuwa Shamal, who was released earlier this month, are from South Kordofan, while Abdumawla is from Darfur. Last week, the Sudan government announced a “ceasefire” for another six months in its war against rebel groups in all three regions. However, the Sudan People’s Liberation Movement-North says Sudanese troops have already broken the ceasefire in Blue Nile. 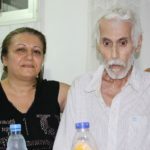 Advocacy group Christian Solidarity Worldwide said: “The case further illustrates the politicization of the criminal justice system by the National Intelligence and Security Services (NISS), which, under the pretext of investigating national security crimes, has brought charges against members of the political opposition, human rights defenders and leaders of minority religions, as occurred in the case of Reverends Yat Michael and Peter Reith in 2015. Sources in the Czech Republic told World Watch Monitor that Sudan is one of the seven countries listed on US President Trump’s executive order imposing a travel ban. They also said that the EU Special Envoy at the European Commission on the Freedom of Religion or Belief, Ján Figeľ, is aware of the verdict. In December, the High Representative and Vice-President of the European Commission told a Czech MP that “promoting a conducive environment for civil society and the protection of human rights defenders are key issues in EU relations with Sudan”. Federica Mogherini had said then that there was a ray of hope for Jašek in that she understood “talk of espionage” had been dropped. The verdict in the trial of three men detained for over a year in Khartoum – due today – has been postponed for another week – until 29 January. 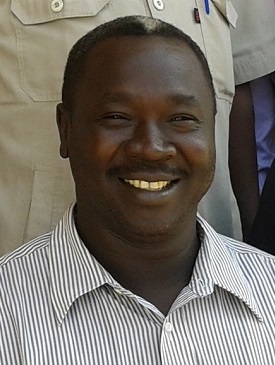 Sudan Church of Christ leader Hassan Taour, Darfuri graduate Abdulmonem Abdumawla and Czech aid worker Petr Jašek were first detained in December 2015, alongside another Church of Christ pastor, Kuwa Shamal, who was released earlier this month. 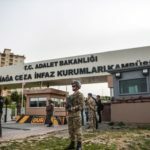 Jašek faces charges of waging war against the state, violating restrictions in military areas, spreading rumours to defame the state, espionage, and inciting strife between communities, while Taour and Abdumawla face only the last two of these charges. The court indictment specifically accused the two Sudanese men of “fabricating videos or incidents of claimed genocide, killing of civilians and burnings of villages, besides claims of persecutions of Christians in Sudan“. Jašek was the first to be arrested, on 10 Dec., when authorities confiscated his computer, mobile phone and flash drives as he attempted to leave the country. Abdumawla, a single man employed in a mining exploration company in Khartoum, was arrested a week later. Then the next day, Taour and Shamal were arrested and held incommunicado for months, without charges or contact with their families. 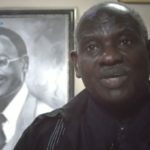 All four were transferred to the Omdurman prison in early August 2016, then formally indicted before the Khartoum North Court on 21 Aug.
Court proceedings have at times been scheduled almost weekly, but postponed several times without warning when a witness, translator or the judge failed to appear. In October, the European Parliament adopted an Urgency Resolution, calling for the “immediate and unconditional” release of the four men on trial “on charges of highlighting alleged Christian suffering in war-ravaged areas of Sudan”. The trial hearings were observed periodically by Western diplomatic observers, with local supporters gathering outside the court at times to sing hymns and shout encouragements to the defendants. In December, courtroom interrogations focused on allegations that a meeting Taour and Shamal had attended with other Sudanese church leaders in Ethiopia a month before their arrest was organised with political motives to “damage and tarnish” Sudan’s international image. The appearance of a witness, Ali Omer, on 12 Dec. was hailed as of “significant benefit” to the four men. The young Darfuri man testified that he had been injured with severe burns during anti-government demonstrations at an Omdurman university in mid-2015. When he was left with serious injuries requiring regular medical care, his Darfuri friend, Abdumawla, had collected funds for his treatment from various organisations and individuals, including Taour, to cover these medical costs. Jašek was carrying electronic information and photos about Omer’s situation when arrested. The defendants were accused of promoting Omer’s case abroad to defame the government. and Peter Yen, during their trial for ‘spying’ in 2015. Sudan is ranked fifth on Open Doors’ 2017 World Watch List of the 50 countries in which it is most difficult to live as a Christian. There has been no let-off by Sudan in its efforts to impose a unified Arab Islamic character over territories still under its government since the independence of the largely African Christian South in July 2011. Both Taour and Shamal are from the Nuba people group, native to a border region with South Sudan, and among groups resisting ethnic and religious rule from Khartoum. Sudan has previously used charges of “undermining national security” after prolonged detentions of Christians. In May last year, the NISS released another Evangelical church leader after nearly half a year in detention. Despite his release, the file of Telahoon (Telal) Nogosi Rata, 36, remains with the Attorney General, who could yet decide to press charges. 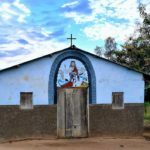 A number of other Christian leaders face restrictions, including Ayub Tilyab, Yagoub Naway (both also SCC pastors), Philemon Hassan, and Yamani Abraha of Khartoum El Izba Baptist Church – all have been alternately arrested, released, and then made subject to daily NISS reporting. In August 2015, Khartoum yielded to international pressure and released two South Sudanese pastors, whom it had accused of “spying”. Yat Michael and Peter Yen were in prison for eight and seven months, respectively. 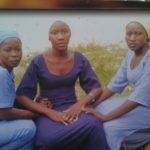 Similarly, Mariam Ibrahim, a Sudanese Christian, was released in June 2014 after she was initially sentenced to death for apostasy and flogging for “adultery”. On top of arrests, several church buildings have been confiscated or demolished, and the government has stated repeatedly that new church licenses will not be issued, leaving a number of congregations without a place of worship. In October last year, five churches received notifications that their buildings would be demolished. Earlier this month, a house belonging to the Bahri Evangelical Church, on the outskirts of Khartoum, was demolished by government officials. The church has seen a number of its buildings damaged or demolished since 2013, when a committee imposed by the government (but not recognised by the church) sold part of its land to investors. In September 2015, a court ruled the committee was illegal. Several of the church’s members and leaders have been arrested and fined in recent years for protesting against the sale of their property.